Home/About Us/Vancouver Mortgage Brokers-Why Use Us! Often there is misleading information about the difference between mortgage brokers and the banks. Besides interest rates there are a number of things to consider when shopping for a mortgage. As mortgage professionals we take pride in making sure you get the right mortgage that fits your current circumstances and your future goals. Not all mortgage brokers are the same. 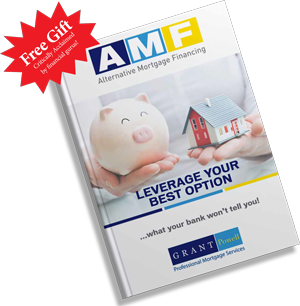 Alternative Mortgage Financing is led by Grant Powell’s eleven years of experience, on going training and the educational background to advise mortgage clients on which of the top mortgage lenders in the country deserve your business. 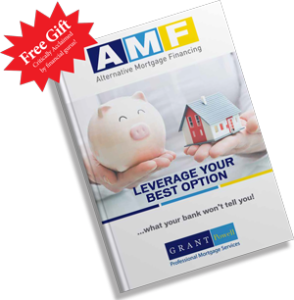 Grant believes that education is a crucial part of every mortgage decision so he has written over thirty mortgage education articles that have been published in newsstands magazines and he has been a featured speaker in a number of educational mortgage segments on the Real Estate channel. We are one of a very few teams of mortgage professionals in BC who specialize in making sure the best mortgage financing is put in place to suit a combination of two distinct demands. Client demands: service, interest rates, mortgage terms, and draws during projects, etc. Upgrade/Renovation demands: flexible lenders for renovations being financed, flexible time being permitted for each project and flexible project budget pricing. Alternative Mortgage Financing has created a service of helping mortgage clients through a renovation by implementing support systems and contractors etc. to guide you through renovation projects for both purchasing and refinancing of condos and houses. The founder of this service, Grant Powell a professional mortgage broker in Vancouver with Verico Vivid Mortgage Inc, was inspired to create this unique service through his 30+ years of construction and mortgage industry experience. Grant is passing on many common sense project management and sub trade experiences and principals which from time to time seem to get lost in translation. There are tremendous values and benefits by renovating a property immediately after taking possession and before moving in, such as, safety concerns, noise, dust, congestion, security, privacy and damage issues, which can occur during demolition and rebuilding processes.